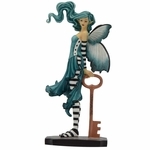 Zoe Fairy Cat Figurine by Faerie Glen: Tate & Co. This too-cute fairy cat lounges in the flowers! 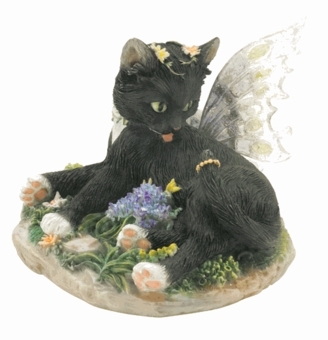 The black kitten has little white paws and belly and sparkling transparent wings. Blossoms in a variety of colors surround him!